Rep. Miller Welcomes Families to Springfield: Home Schooling Works! On Tuesday, I was happy to meet with the students and families who are part of the Illinois Christian Home Education group. 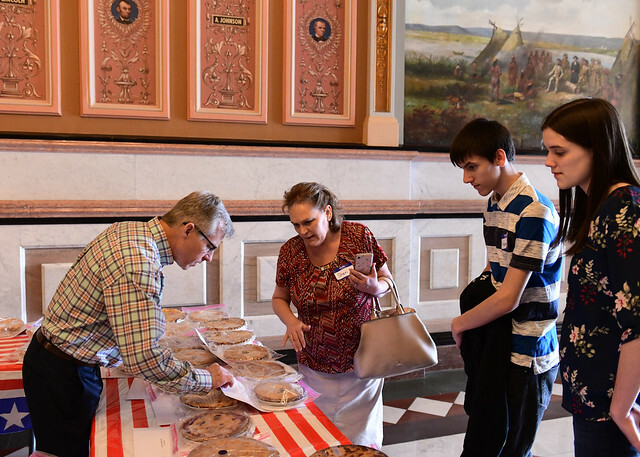 April 9th was their 2019 ICHE Homeschool Cherry Pie Day in Springfield. My wife Mary and I are homeschoolers of seven children and we know home schooling works! “Cherry Pie Day” is a one-day educational smorgasbord for homeschooling children covering many topics including history, current events, political science, speech, interpersonal communication, P.E., architecture, religion, art, law, and the list goes on. 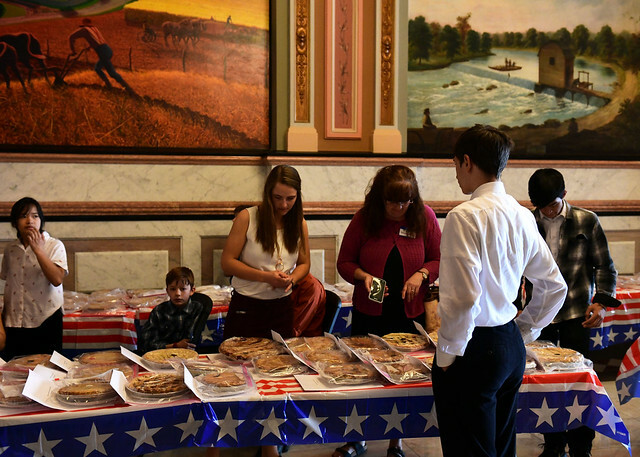 “Cherry Pie Day” is a proactive effort to remind legislators–as well as the governor–that homeschoolers are very much engaged in the democratic process, and they zealously work to protect their homeschooling rights. It is a worthwhile investment in our children and grandchildren’s lives, as they remember that is much easier to keep our liberties than regain them once they are lost.